Reusable Hose Fittings attach to the hose with a threaded connection and can easily be removed should the hose need to be repaired, unlike regular hose barb fittings. They are available in brass, electroless nickel, plated brass and 303 stainless steel with male NPT, female NPSM and hose splicer’s options. Hofmann reusable hose fittings are strong, efficient, and easy to use. They come in two parts and are sold as assemblies. The stem has either a male or female pipe thread on one end. The other end has a tapered stem to fit inside the hose. 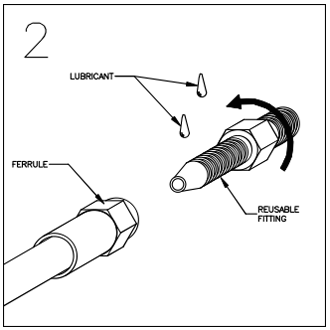 The ferrule acts as a collar against which the hose is compressed when assembly is made. 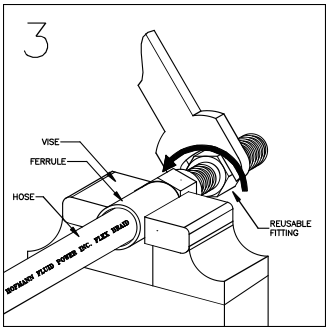 This connection fits firmly to the end of the hose, yet is removable and reusable on new hose when the old hose is discarded. Component parts are machined from solid brass rod and stainless steel. fitting before inserting stem into ferrule. With the ferrulde securely in a vise, turn reusable fitting into ferrule. 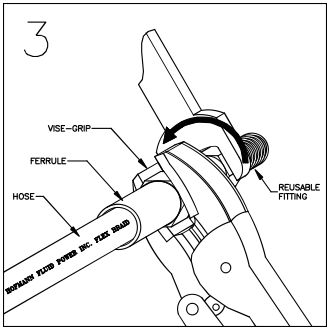 (If vise cannot be used, use another tool to hold the ferrule steady). 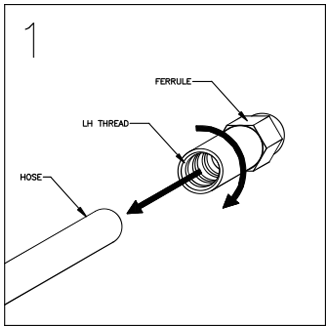 Hose is expanded inside ferrule for a perfect fit.